Amethyst is a stone of Light, bringing spiritual protection, believed to ward off negative energy and aid in releasing addictions. 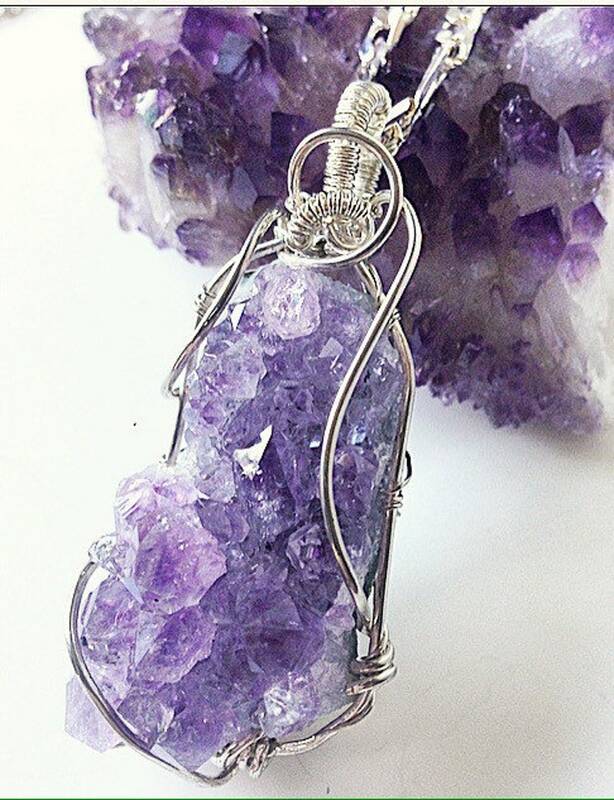 It encourages a spiritual connection with the Divine, my inspiration for Angel's Light. The crystal is an amethyst Druzy 1.75" long, 1" wide at the widest, and .75" thick. The wrap is .925 Sterling Silver, simply wrapped to show the beauty of the stone. The pendant comes with a 22" Sterling Silver chain. A Druzy stone is the raw, natural form of the crystal, with gorgeous mini points and clusters. Amethyst is also the traditional birthstone for February, and makes a thoughtful gift.